Can’t remember when, probably last or 2 years ago when I chanced upon a Japanese magazine at the workplace. On the cover is this anime girl with big brown eyes, brown hair and big lips doing a forehead-pointing pose like the one you see above. In fact she is the one I am talking about. Never found out who she is or the title of the series she originated from. Only know that she looks cute and is from a manga about working adults. Fast forward time to recently where I saw her again while surfing around the net. Like destiny calling out to me, it ignited my desire to find out more about her. 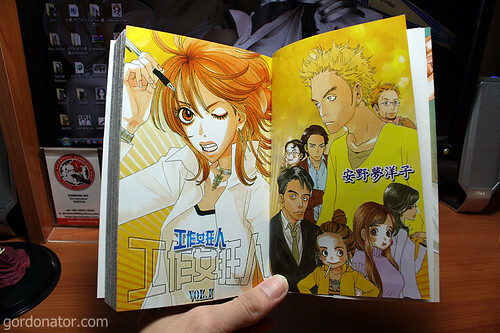 I then came to know her as Matsukata Hiroko from the manga Hataraki Man by Moyoco Anno published in 2004. 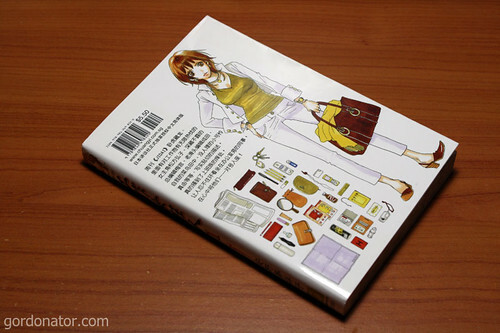 Hataraki Man, literally translated to Working Man or Workaholic in the Chinese version, is about Hiroko’s daily life as a magazine editor. I am by no means a workaholic but the story’s concept, which revolves around the challenges of a working adult juggling career and personal life are something I can relate to. There is an 11 episodes anime series that started its run in Sep 2006. Unfortunately the only fansubs group who took up this project decided to call it quits after some unhappiness with the anime community namely the fans and life commitments. With their departure they took down all their Hataraki Man releases as well. Just when I thought all is lost (actually there’s still online streaming), a friend happened to have it and shared with me. A big thank you from the bottom of my heart! I am also reading the scanlated fansubbed manga as well but they only have up to volume 1. 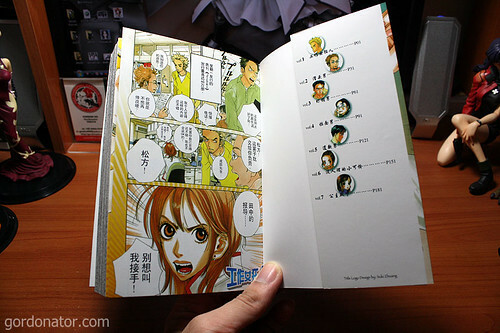 Although the manga started in 2004, only 4 volumes have been released so far and are still ongoing. To my delight, found out that the local manga distributor has released the manga early this year. Bought a copy on my way home. Call me paranoid but I often find that life has a strange way of guiding me, like dropping hints and signs telling me what I should do. In this instance, it’s like telling me I should not miss out on this great series. Am glad I did not cos I really enjoyed it. In fact the reason it appealed greatly to me other than Hiroko being cute, is that her determined look reminded me very much of someone I know. Could this be another sign? OMG you went to get the manga? Eh you better treat this friend of yours then! *wink wink* I heard she likes Japanese cuisine and there’s a very nice one called Hanabi at Oden Towers. LOL! yes i do know of teh lvie action drama but i am more into the anime and manga. enjoy schooling while u can. the concrete jungle outside is tough. It’s a fairly underrated anime. Even I haven’t seen it yet. A slice-of-life series? Haven’t encountered many of them, so definitely haven’t heard of this before. From what I’ve just read on the wiki, it seems like that the protagonist is similar to the situation at my sister’s office – while OT is the norm of working life, many of her colleagues even work on day-offs as if it’s normal. Makes me wonder how people prioritise life and work these days. I didnt know anything about this anime/manga. Too bad the fansub stopped the project early. I’ve been meaning to catch up with the anime since end 2006. Ironically, work got in the way. Well, that and new series. Ok gordon, I’m going to get this manga and give it a go. the fansubs group finished the project but took it all down when they disband. it’s a short anime series. can finish it in a week. is it worth the buy? cos i saw it quite sometime ago and thought of getting it but then thought that it’s some working life manga.. @_@ in the end, didn’t bought it..
theres 4 books currently. manga should just get taiwan or HK translation. buy it. it’s something different from those endless shonan manga. is there a taiwan version? only know there’s a HK version. not sure whether Comic Connection has it or not. either way i’m fine with Chuang yi’s version. i saw a little of the anime and liked it a lot. Its really funny and does reflect on the adult working life.